He: *on the phone* Eh, we got invitation la! She: Hurh? Who getting married? He: For our food blog wan la! The conversation explains it all, didn't it? So, we were both invited to Agua Restaurant in Straits Quay for a Paella Cookout! (Along with other food bloggers and journalist for magazines). 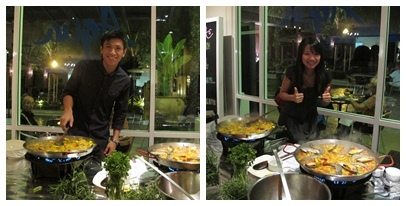 We had no clue what Paella was but still very excited for the night to come! One of Agua's signature dish. the fresh ingredients for Paella. That's RM500 worth of Saffron that she's holding. Special type of rice used in this dish. After twenty five minutes of wait.. 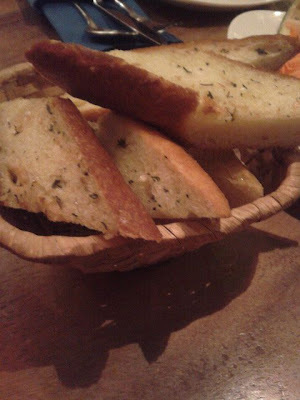 While waiting, we were served with a glass of Sangria, crispy garlic bread and fresh salad. Plus with lots of getting to know each other. A mixture of red wine and seasonal fruit slices. She says: This is definitely my favourite! I would have refilled it thousand of times if I could. And I usually don't like red wine but this is just exceptional! Perfect for hot days! He says: Never really fancied salads before this, but this one is really good. Must be the combination of all the salads plus olive oil! 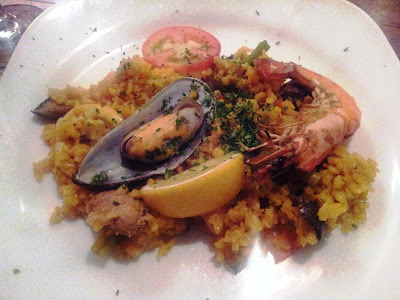 Ladies and Gentleman, introducing to you, PAELLA! She says: This makes me speechless. When I smell it, it smells spicy. And when I eat it, it's spicy but not spicy. It's that good! And I couldn't just stop eating. Every time I eat it, I want more. And at first I thought it was not gonna be enough since the portion looks so small nia, but it was filling like mad. I couldn't even eat supper after that. Seafood is definitely my favourite! 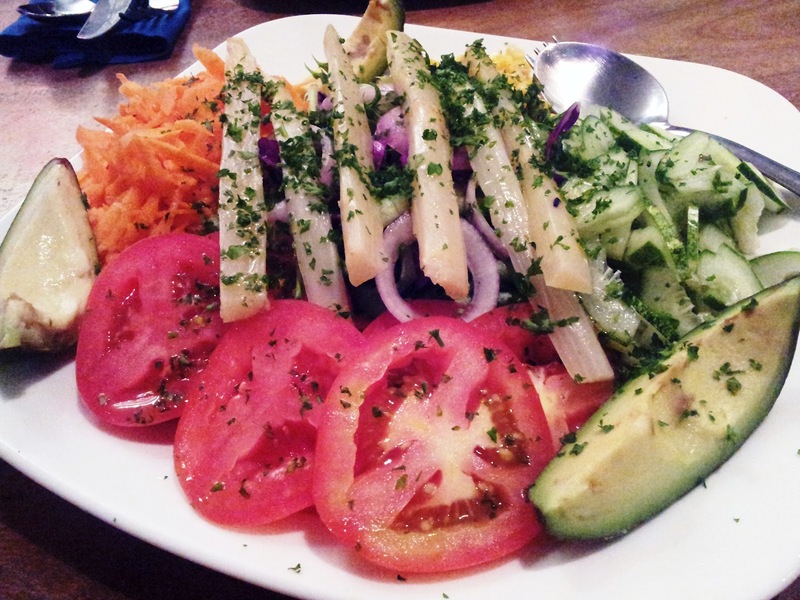 :) It's pricey but overall, its so yummy and healthy! 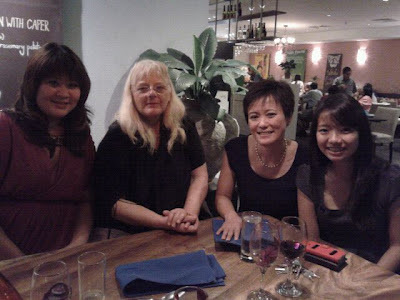 Third from the left is Karen, the founder of this restaurant with its name, Agua, means water in Portuguese. for more info, do visit their website! 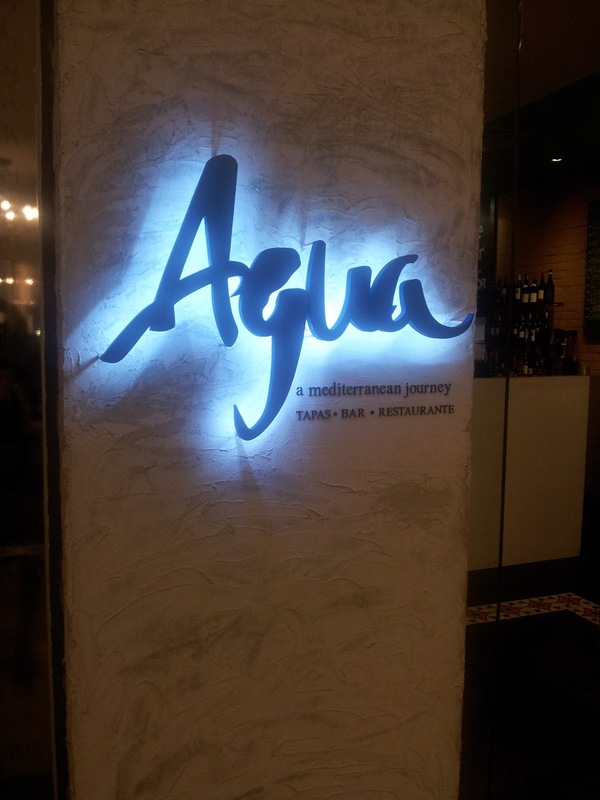 I have tried the food in Agua just last Sunday but i dont really like it. Furethermore, its too pricey. I'm not sure of other food that they serve cos we didn't try it yet. I do think that people will either like it or not cos its very different from what we eat here. But yea, we agree that it is pricey. looks like fun, that you got invited! I have been to Straigh Quay for many time, but did not dine in Aqua before... may be i will go there for a try out.. Seem delicious. Hi Mr Pow. Nice to meey you. We've read your food web and its really good. 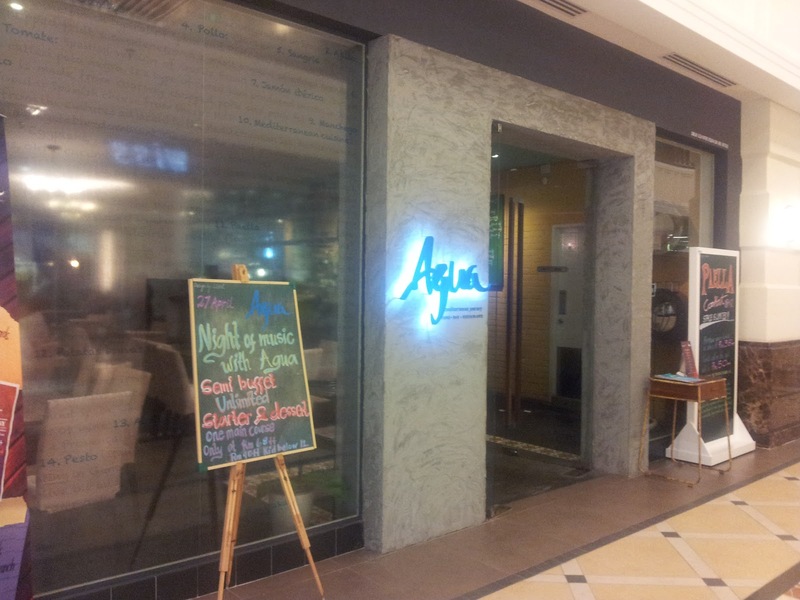 Yup you should go Aqua and try, and tell us what do you think about it!